Professor Linda Trenberth, Vice-Provost (Academic) at Victoria University, sponsored three students from the Victoria Plus Programme to attend the 2018 Aspiring Leaders’ Forum, held at the end of July. Thomas Fuge, one of the three students who attended, shares his experiences. Attendees at this year’s Aspiring Leaders’ Forum outside Parliament House. This year’s Aspiring Leaders’ Forum (ALF) was an exciting journey that taught me a lot about leadership—I discovered more about what it means to be a great leader, with a strong focus on faith and values across the four-day event. A quick rundown of the forum: the first day was pretty full on and began when I arrived at James Cook Hotel. This was where I met my group, who I would be spending most of my time with throughout the forum. 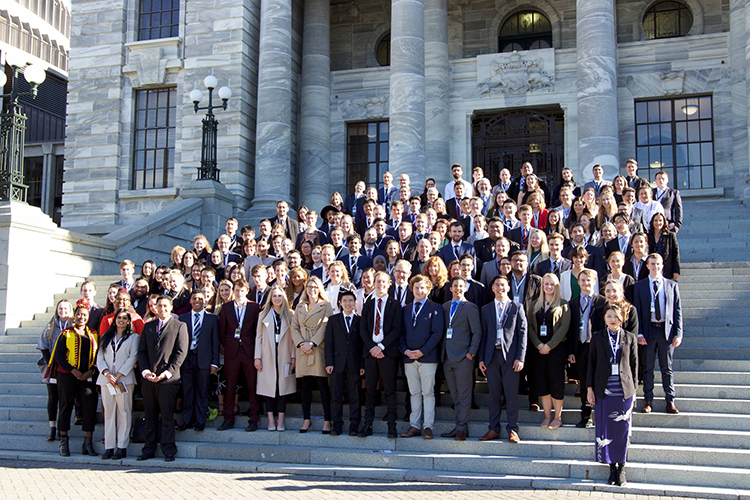 Once everyone arrived, there was a quick introduction to ALF 2018 and then we made our way to Parliament Buildings, where we got to sit in on question time, hear from MPs about their personal leadership experiences and spend some small group time with MPs Andrew Bayly and Paul Goldsmith. On day two, we heard a keynote address from comedian and mental health advocate Mike King and took part in an indoor sports tournament. 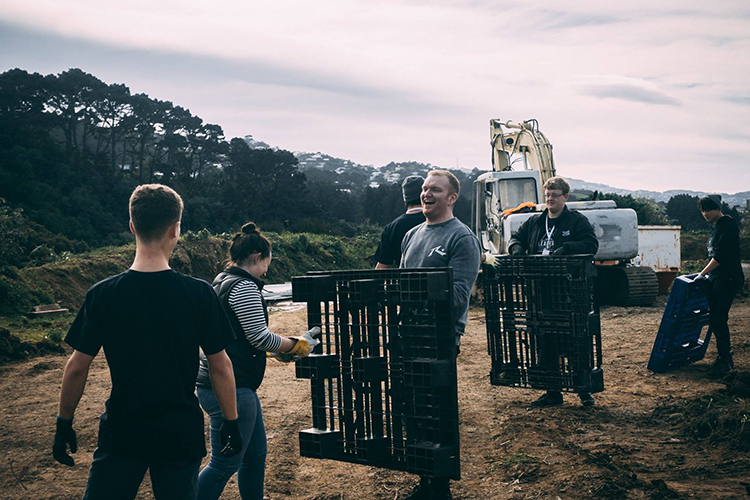 On day three, we heard from Daniel Flynn, co-founder and managing director of social enterprise Thankyou, and visited Tapu Te Ranga Marae, where we performed community service and servant leadership, and then finished the day with a barn dance at the Silverstream Retreat. On the final day, we had a keynote address from Aimee Mai, CEO of Christians Against Poverty, and after closing addresses, we all said our goodbyes. Thomas and other AFL attendees performed community service during the four-day forum. This quick rundown of the forum cannot begin to describe the impact these four days had on me. Every keynote address was a passionate speech from a truly inspirational leader. Every group activity was a chance to bond and share who we are by telling our story and describing our faith and values—after only a few days, I felt incredibly close to my forum group. The forum was never just about being an effective leader—it was about being a good, well-rounded person. After all, a leader is someone other people look up to and try to emulate. If that leader has weak values, then that will propagate to the people they are leading. This was a fantastic way to run a leadership forum and I really enjoyed it. One of the things that Daniel Flynn spoke about that really resonated with me was how having a chat to an experienced leader about the lessons they have learned lets you learn lessons in just 20 minutes that would have taken them 20 years to learn. Considering all the experienced leaders I got to hear from and speak to, I feel like the four days I spent there was as valuable as four years of leadership experience. Looking ahead, I’m going to use all that knowledge to be the best leader, and person, I can be. A huge thanks to the organisers of ALF and my group for being awesome, to Charlie Devenish from Victoria University’s Careers and Employment team for giving me the opportunity to attend, and to Professor Linda Trenberth for sponsoring me. Thomas Fuge is a third-year engineering student majoring in Software Engineering.